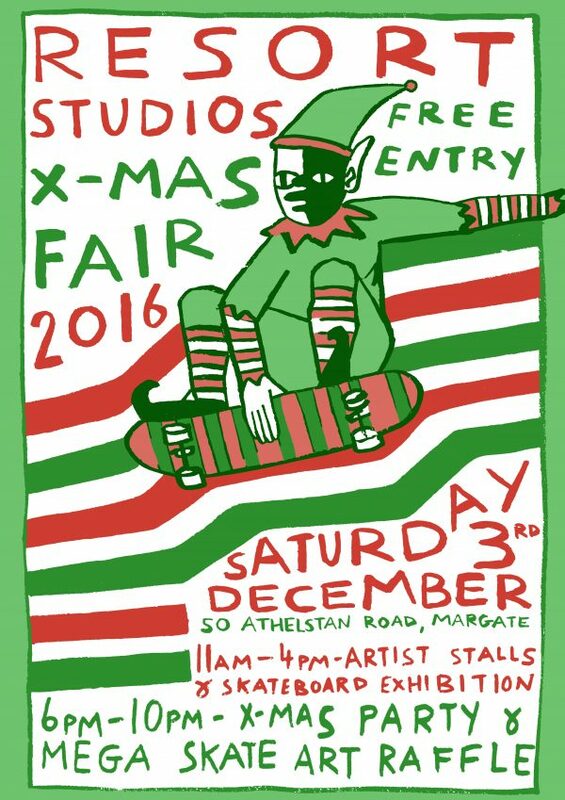 Come to our Xmas Fair and buy art direct from the artists. Prints, ceramics, unique artworks, handmade products, cards and more. 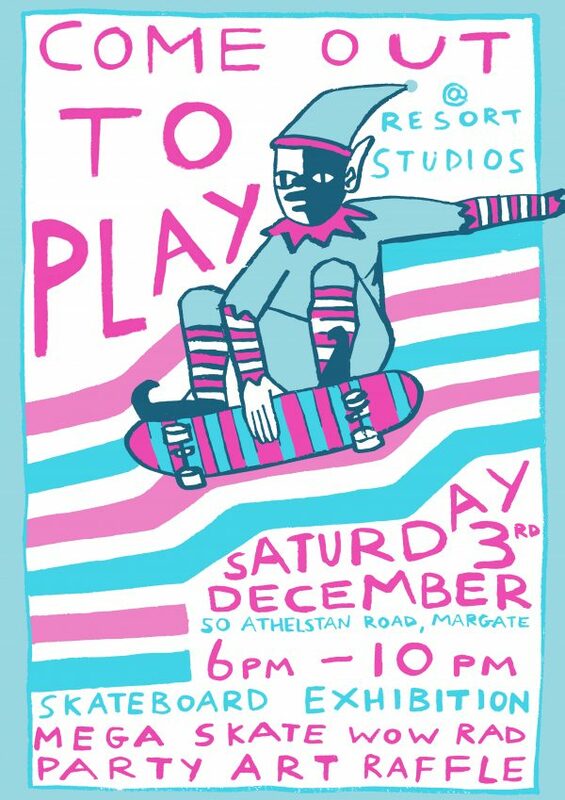 Plus your chance to buy or win one of our range of customised skate decks by Resort members and specially invited guest artists. Hot booze and a festive vibe guaranteed.